After spending eight seasons with the unflappably cool Don Draper and the hard-drinking ad men of 1960s Madison Avenue, “Mad Men” aired its series finale Sunday. In seven seasons, the show and its creator, Matthew Weiner, inspired conversations about sexism and counterculture of a bygone era. Mad Men catapulted 1960s popular culture back into the present, and even prompted Brooks Brothers to launch a limited edition, $1,000 suit modeled after its chain-smoking, womanizing antihero. We spoke to several television critics and asked why “Mad Men” attracts so many superlatives from its audience and where the TV series falls on their personal Top 5 TV lists–if at all. “Certainly among American television dramas, it is one of the five best that there’s ever been,” Hitfix’s Alan Sepinwall said. Sepinwall has written about “Mad Men” in his book, “The Revolution Was Televised: The Cops, Crooks, Slingers and Slayers Who Changed TV Drama Forever.” And, with the show now over, he plans to update those chapters by the fall. “Everything about the show — the performance, the costumes, the sets, the scripts, the direction — every single aspect of ‘Mad Men’ is so well thought out, so detailed, so laden with meaning, there’s just so many layers that you can peel to find something else interesting in almost every episode, in every storyline and every moment of the show,” he said. Sepinwall said that although the show is serialized to an extent, the writers assemble each episode “as a standalone work of art.” Looking at season 2’s “Maidenform,” the episode is “all about how you view yourself versus how other people view you,” he said. As such, every scene is filled with mirrors, reflections or doppelgangers. “[“Mad Men”] sort of changed the whole way we expect prestige dramas to come out,” Molly Lambert of Grantland said. “Mad Men” premiered in the summer of 2007 on AMC, which had no clout at that point as a dramatic narrative network, she said. Initially casted with no-name actors, “‘Mad Men’ proved that prestige dramas didn’t have to premiere in the fall with a big fanfare,” Lambert said. Lambert also said the show wasn’t afraid to emphasize how ugly some of the reimagined 1960s scenery, and its inhabitants, actually were. “It would have been very easy to make [the show] incredibly beautiful and have everybody dress in the ideal version of what people wore in that time period,” Lambert said. Instead, the creators painstakingly introduced characters and elements that made sure the show wasn’t just one, long nostalgia trip. Lambert pointed to Peggy Olson, the show’s one-time secretary turned assertive copywriter as an example of the show avoiding this rose-colored approach. “One of the things I love about Peggy in particular is that they dress her so badly and style her so badly,” Lambert said, adding that the practical character’s accurate to what a person who doesn’t care about looking stylish would dress. John Teti of A.V. Club said “Mad Men”’s novelistic style, also championed by “The Sopranos” and “The Wire,” has brought an added heft to serialized TV. “When I watch ‘Mad Men,’ I often picture the words as if they’re on the pages of a novel, and it somehow enriches the experience for me because it makes me think about these characters beyond the immediacy of a TV scene,” he said. There’s also plenty to cull from the show’s nonverbal visuals, such as the closing shots in the last half season. “They’re centered on Don alone in the different contexts,” Teti said. “We’ve seen him alone in his apartment. We’ve seen him alone in the hallway outside the apartment. We’ve seen him alone driving his car down the road.” And one of the show’s last images was Don sitting alone at a bus stop. “In each of [these final shots], we’re seeing him say goodbye to something that’s full of such meaning,” Teti said. Sonia Saraiya of Salon said “Mad Men” makes history not feel like a “dusty textbook,” adding that, even from the pilot, the show introduced an atmosphere and characters that resonante with audiences despite being callbacks to yesteryear. “I’ve seen many, many things that are from the ‘60s, but none of them really brought home to me what it might feel like to be a woman in the 60s, going to work on your first day, or what it might be like married to a man who’s cheating on you in this archetypal, suburban trapped housewife story,” she said. Establishing that atmosphere extended to the settings of all the drama, Saraiya said. For example, although Howard Johnson’s restaurants still exist, the show provided an opportunity to remind or inform an audience why they were popular in the 1960s. The show’s production, from the colors to the business’ convenience, demonstrated why Howard Johnson’s, which now has a reputation as a cheap diner-like place, was an actual destination for fashionable people like Don, Saraiya said. Saraiya lists “Mad Men” among her other favorite shows, such as “Deadwood” and “Arrested Development” because “they’re delivering this atmosphere; they’re delivering what it’s like to be there. Todd VanDerWerff: It wasn’t revolutionary, but its execution was top-notch. “It’s not a terribly original show. It’s not a terribly cutting edge show,” Vox’s Todd VanDerWerff said. But it’s a tough structure to pull off, VanDerWerff said, adding that it’s a structure that few shows, including “The Sopranos” and, to a lesser degree, “Lost,” have been successful in pursuing. 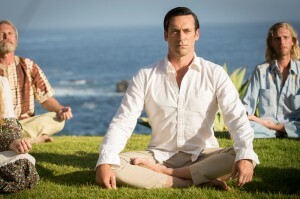 VanDerWerff said “Mad Men” wouldn’t crack his list of top 10 all-time greatest shows. He said it will probably end up around top 20 or 25. But this is still a high compliment, he said, when you consider its placement among all the shows in television history. For VanDerWerff, the show’s defining image came at the end of the fifth season finale when five characters are standing on the floor they just purchased to expand their office. Tell us: What are you top 5 TV shows of all time?